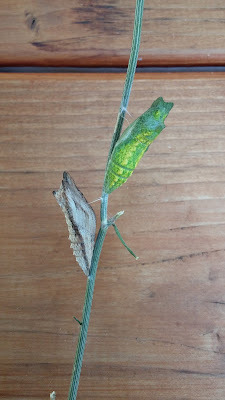 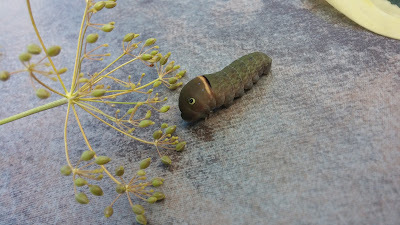 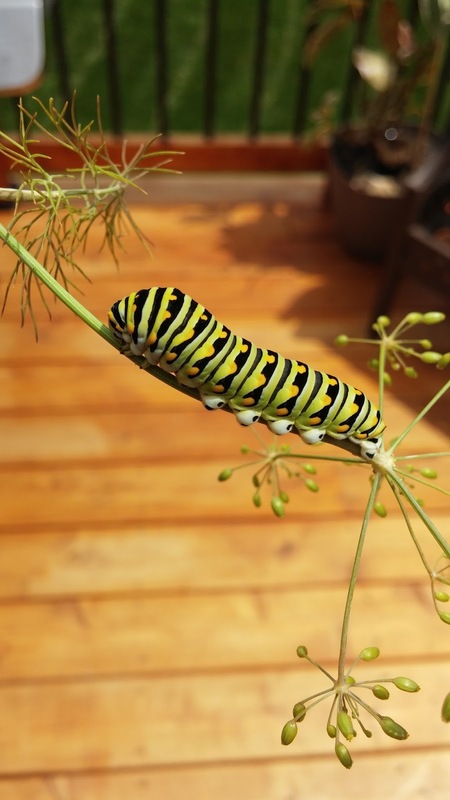 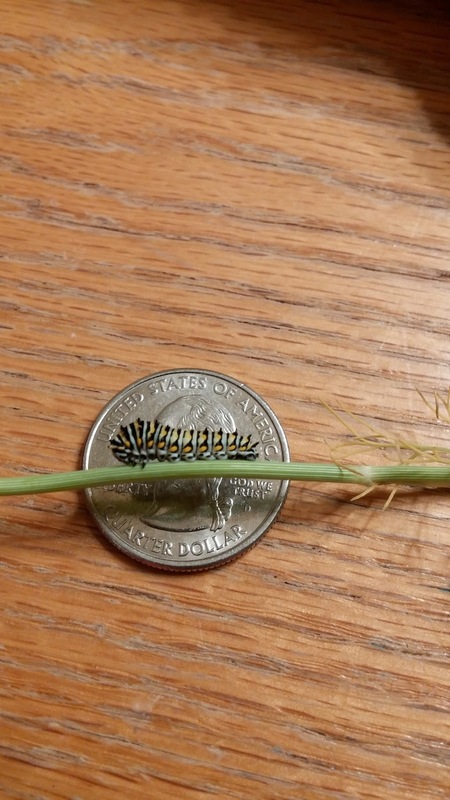 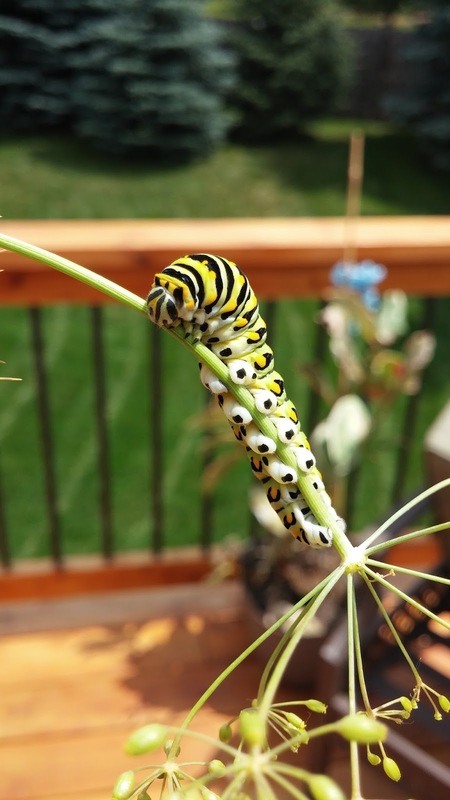 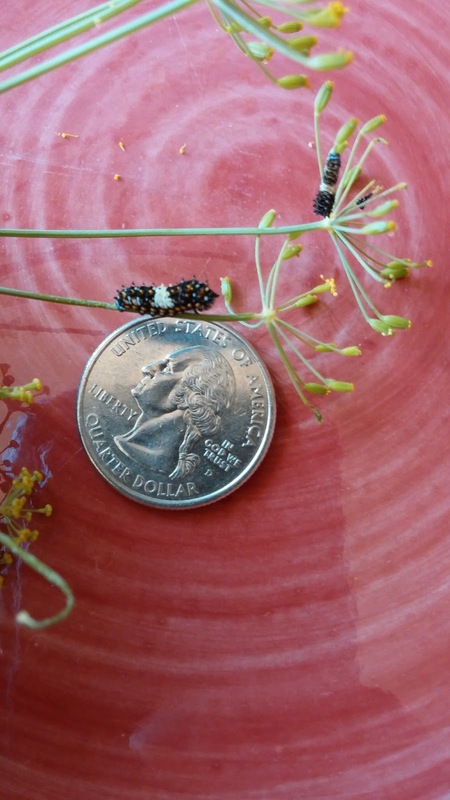 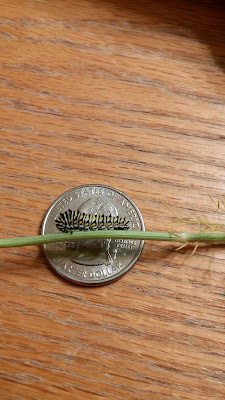 Gust Gab: Swallowtail Caterpillars from Egg to Chrysalis! 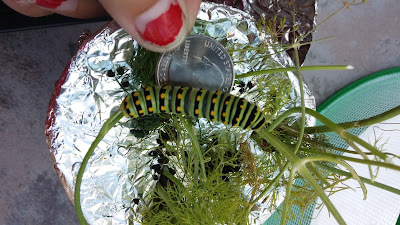 Swallowtail Caterpillars from Egg to Chrysalis! 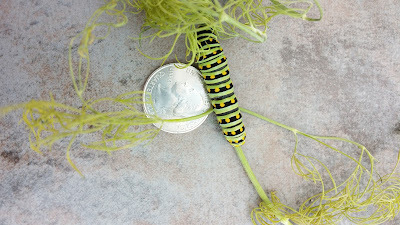 for Swallowtail Caterpillars around here. 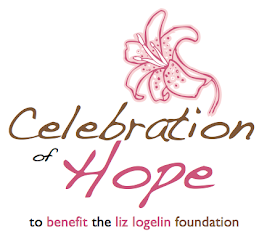 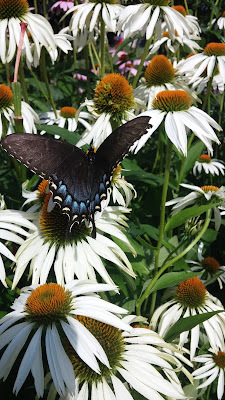 We have tons of Swallowtail Butterflies floating around - so they must be somewhere, right? 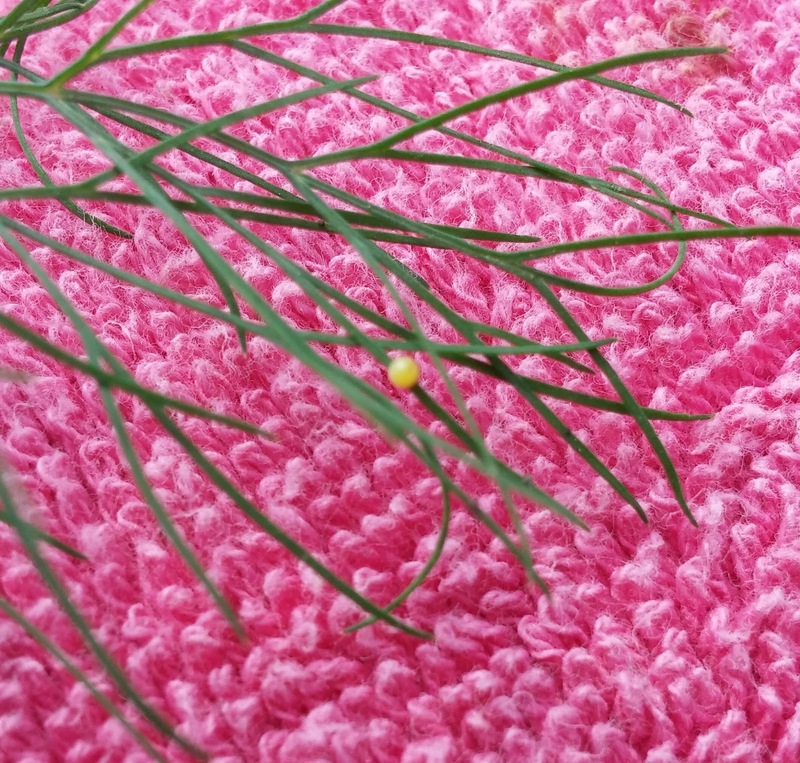 I finally found Swallowtail Eggs on Dill! 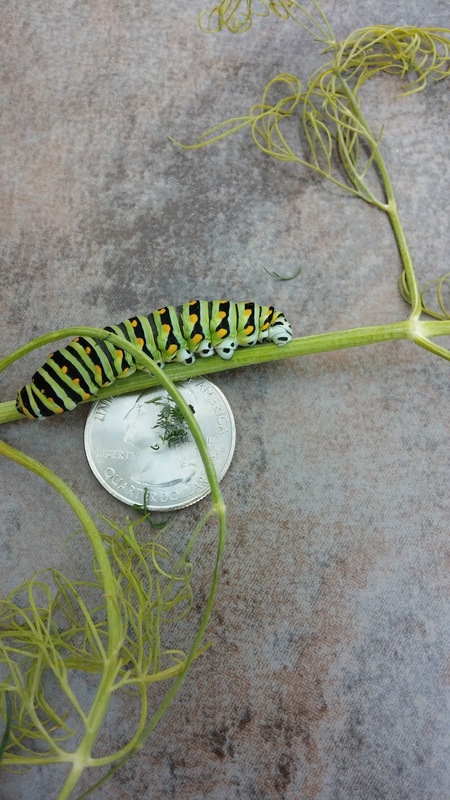 The difference between the Monarch Caterpillar and the Swallowtail Caterpillar is very apparent at this stage in the game. 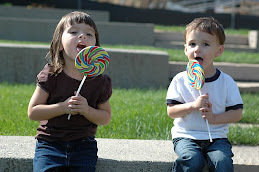 because the changes are that different! When the Swallowtail is an adult, that's when some people confuse them with the Monarch Butterfly - but the coloring is different, if you just know what you are looking at. 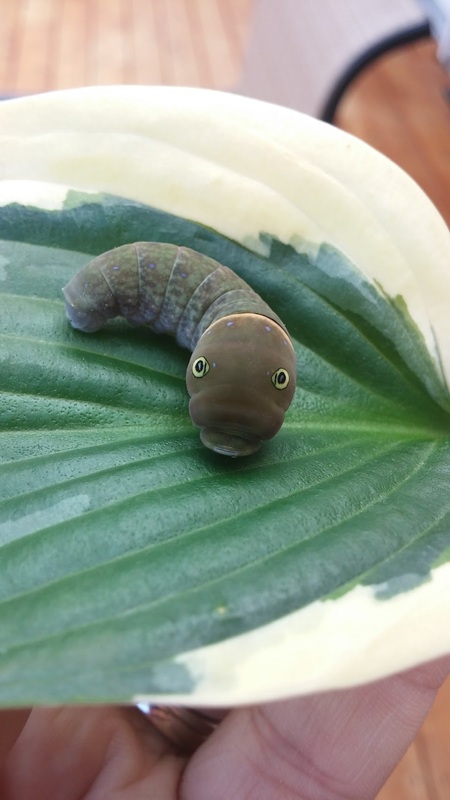 I just love their little legs! 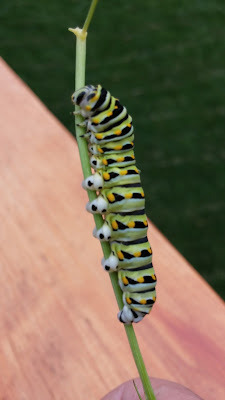 Aren't they sooo cool looking? The Swallowtail makes a crazy lookin' crysalis, and it hides itself by turning either green, or brown, based on it''s surroundings...I was sort of hoping for red, in this case...but green he stayed! 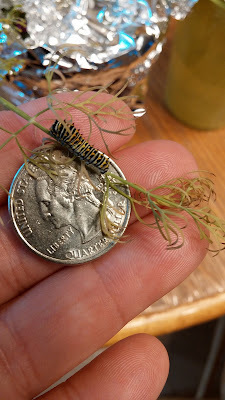 We had three of these caterpillar guys, at once...but then we only had 2 chrysalis. 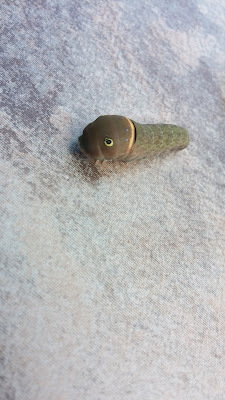 Had be been eaten by something? 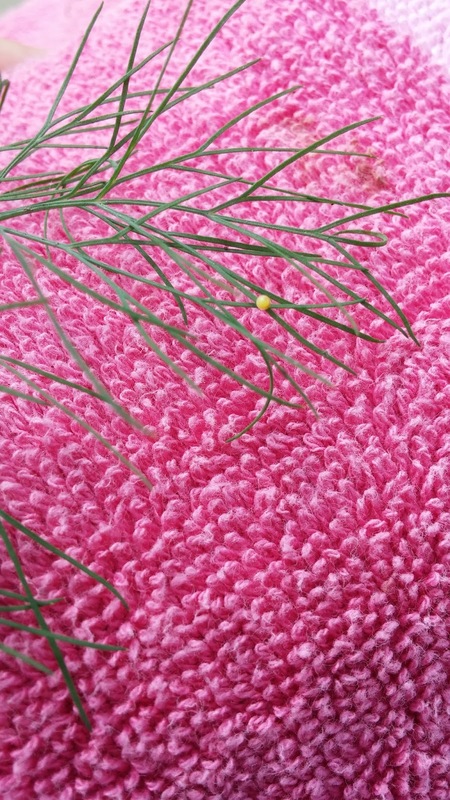 Escaped? Turns out, he escaped and made himself comfortable in one of my box tops for education baggies! 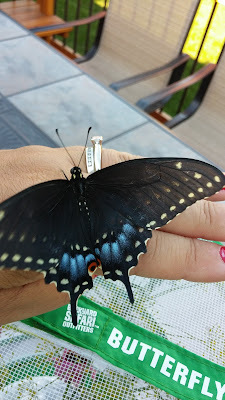 Soo soo glad I found him! Because, wow, he's hatched, and isn't he so gorgeous! 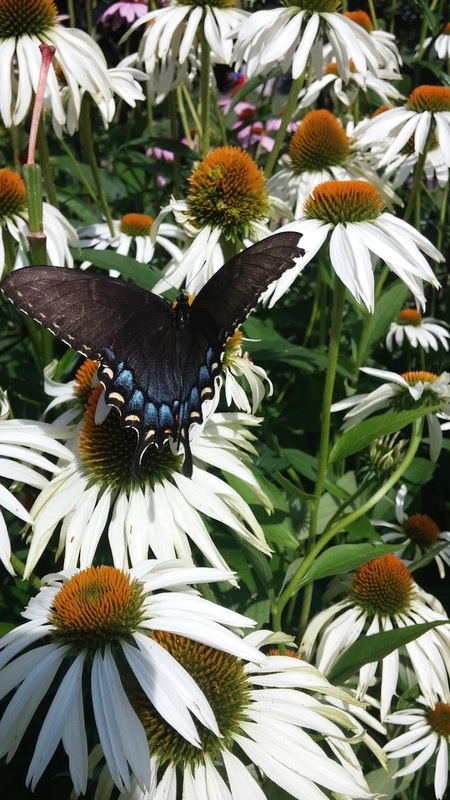 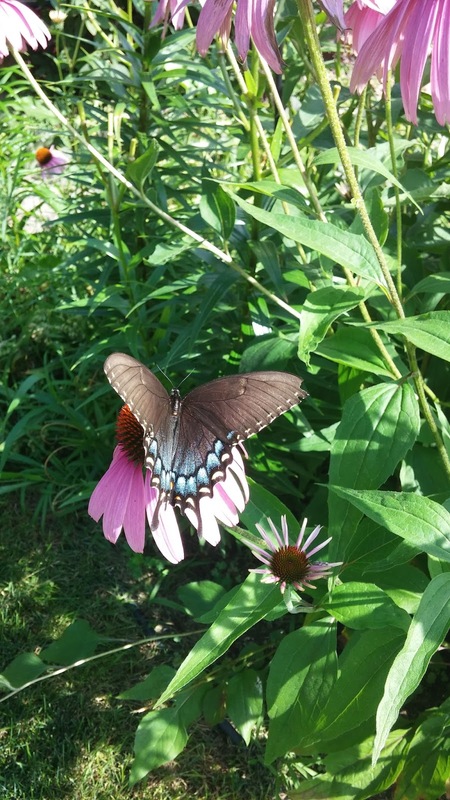 I love the Swallowtail Butterfly, and we are so happy to have them in our gardens! 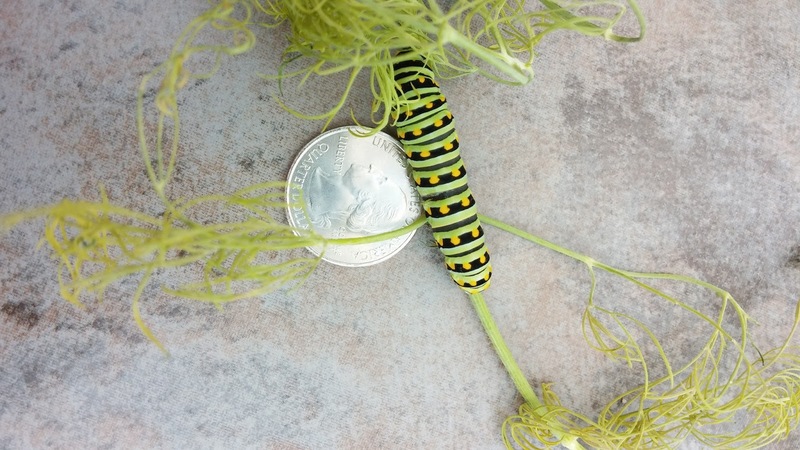 And then one day, my hubs spots THIS guy crawling around on the driveway! A YELLOW tiger swallowtail cat, about to pupate? That's the caterpillar motherload over here! 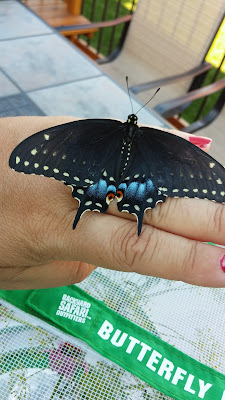 He almost looks cartoonish, but I assure you he is real! 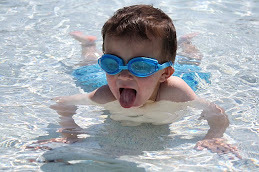 and I assure you - he's FAST! 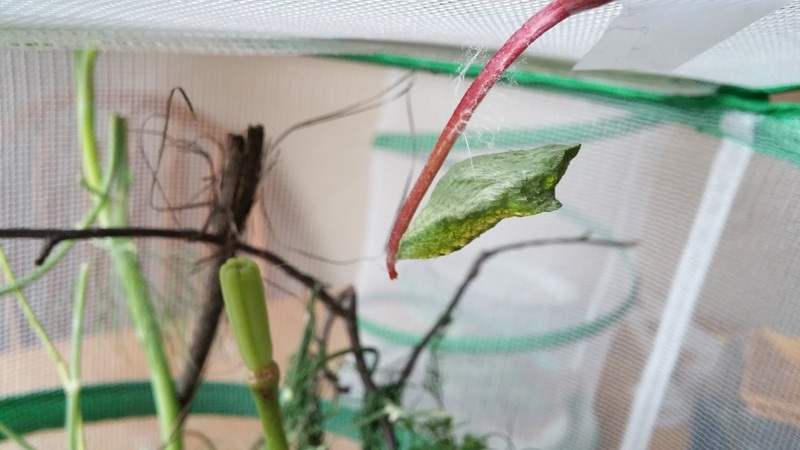 It's been three weeks, and he's still in his chrysalis. then do we wait it out over the winter, or did they not make it? 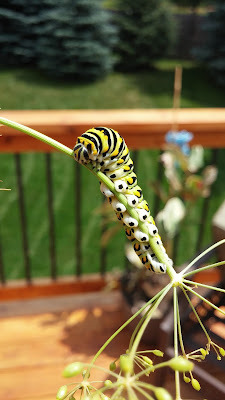 We are well versed in Monarchs here, but the Swallowtails are new to us. 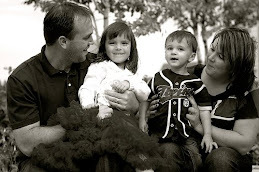 They have a bit different lifecycles than we are used to - and I don't even know what's really normal. 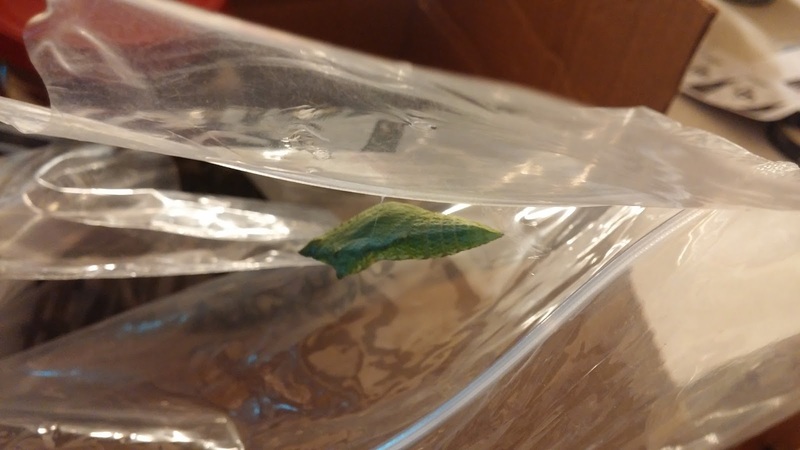 Here are 2 of the 8 Swallowtail Crysalides we are impatiently waiting on! 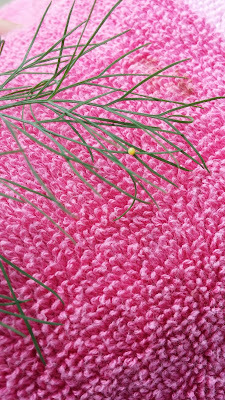 Feels like winter should be a long ways off - but it also feels like 3+ weeks of being cooped up inside the cocoon isn't normal either?